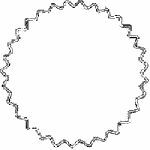 Single crimp rings are for hand tying Christmas wreaths and craft projects. These rings are perfect for small for projects or the wreath maker on a budget. Ring Specials! Available for a limited time! EZ ship wreath rings take the hassle and cost out of shipping large wreath frames. Available from 36'' all the way up to 96''.